Sheopur 26/10/2018 (PratyakshaSaxena) @www.rubarunews.com>> As a part of Indian culture and society, celebrating each and every festival is in our blood just like other big traditional days. “One another day that itself keep a big history and significance” or can be said “a day that defines a ““marriage”” on a great point of views with various aspects is certainly “Karvachauth” “.The day or a kind of festival that holds a millions of facts, believes, esteem and bond of years in itself definitely in Hinduism. For every women no matter from which city or background they belong, have their own belief and faith regarding “karvachauth”. Karvachauth is a one day festival celebrated by ‘Hindu’ women. In authors view of defining the word Karvachauth - “Karva” Stands for “Pot” (a small earthen pot of water) and “chauth” Stands for “fourth day” in Hindi calendar ( a reference to the fact that the festival falls on the fourth day of the dark fortnight of Krishna pasha of the month of Kartik). It probably came from the northwestern part of the Indian subcontinent. In our culture all the married women from sunrise to till moon up keep Fast or Upwas for the safety of her husband. Keeping Upwas without drinking a drop of water and slice of food all through the day seems to be a difficult one but the doing wives perform all these with much love and respect in their heart for their husbands, and some unmarried girls also keep this upwas for better life partner. 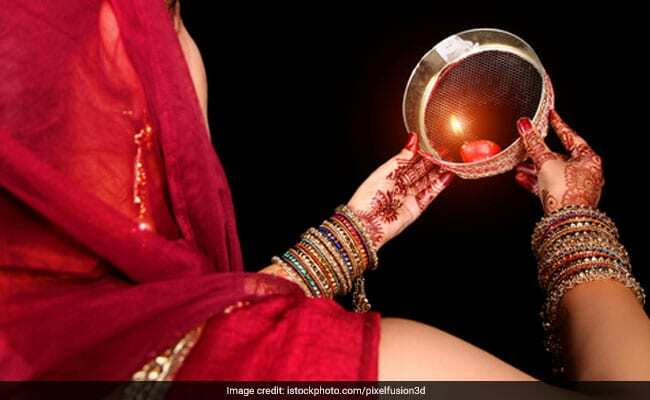 There are so many tales behind the karwachauth from where it get started, from the ancient era to this 21st century we have various estimated storied regarding the origin of karvachauth here are some set examples in the form of famous tales behind the celebration. Story of Queen Veervati: Once there was a queen named veervati who was the only sister among seven brothers. At one of the karvachauth she was at her parents place and kept upwas. In the evening when she was waiting for the moon her brother saw her suffering so they created a mirror in a pepal tree and the moment when veervati broke here fast they got the news of death of her husband and then goddess arrived there and revealed the truth and then for her husband’s life she kept the fast of Karvachauth with her full dedication and faith. Story from Mahabharata :It is said that once darupadi also kept this fast for arjun and her husband’s when they were facing a tough challenge at the nilgiri mountains and after the strict fast of karvachauth observed by darupadi helped in resolving pandava’s problem. Story of Karva : there is also a story of a girl karva who was truly devoted for her husband , and once while bathing in the river a crocodile attacked on his husband and when “yama” came to take the soul of her husband , karva with her full spiritual power threatened “yama” to curse him and then yama after seeing the power of karva yama blessed her husband with long life and to this day karvachauth is celebrated. An unknown story: another tale is that when military campaigns and long distance travel usually resumed around the time of the festival as the area dried from the effect of monsoon. Women observes the fast to pray for the safety of their husbands when they were away from home and this day coincides with the wheat sowing time and also with earthen pot of water, so the fast have begun as a prayer for a good harvest. On this auspicious day of karvachauth women woke up at sunrise and eat the sargi that has been given by her mother in law which include fruits and sweets. Then they go on a day long fast or upwas without water and food till the moon up and after that wives see their husbands through chhalani, worship moon and break their fast or upwas by drinking water. It is mentioned in the history that veervati fasted again she saw her husband with chhalani that’s why it became the important part of karwachauth. It is also said that that when wives see their husbands through chhalni, it filters all the ill will and negative vibes and bring blessings in their lives.